This article has been updated on 29/12/2018 to update various information regarding changes on cashmining.xyz. Read footer to get more information about the updates. 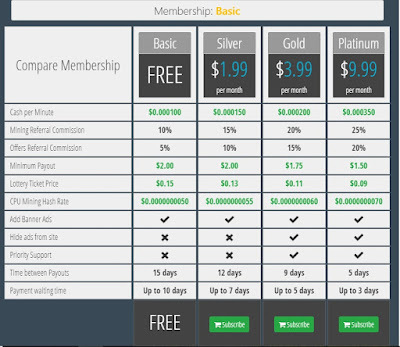 Cashmining.xyz is a site that pays you for autosurfing. How do you earn money with this site? Make an account, and verify your email. After you log in you can click the red button with the text "start mining cash". When you clicked that a tab will open and it will start showing websites. You get paid for every website the autosurf visits. You don't need to click anything, it will run automatically. 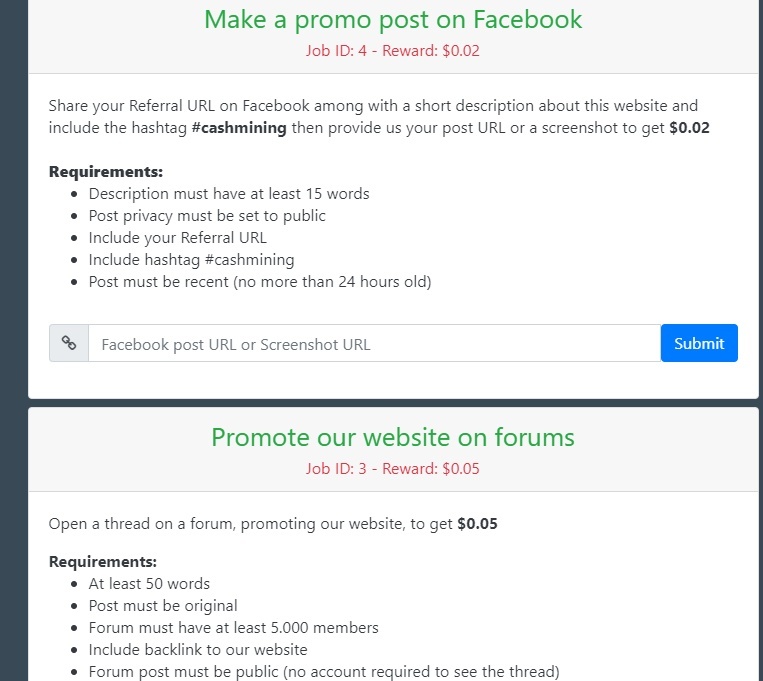 If you run the autosurf 24/7 you will earn 0.15 Dollar a day. It is not much, but it is completely passive and you can run it next to your miner, or passive video watching. Another fact is that it works globally, which makes this attractive to countries with less options to earn online. Does it actually mine on my computer? No, it doesnt actually mine cryptocurrency. All it does is open new websites. But if you want to mine, they allow it and pay you for every hash. You have to enable it. You can do jobs, which pay you for doing simple tasks. Follow the information posted and submit the task. They will manually verify it so it can take a while to show up in your balance. They also have a PTC wall. PTC stands for paid to click. On that page you can manually click links, and get money for it when the timer runs out. This is another good way to earn some money while you are watching tv or doing something on the pc. Surveys are on the site. But unless you are in a country that supports many surveys, this is just a way to earn some cash on the side while you let the autosurfer run. 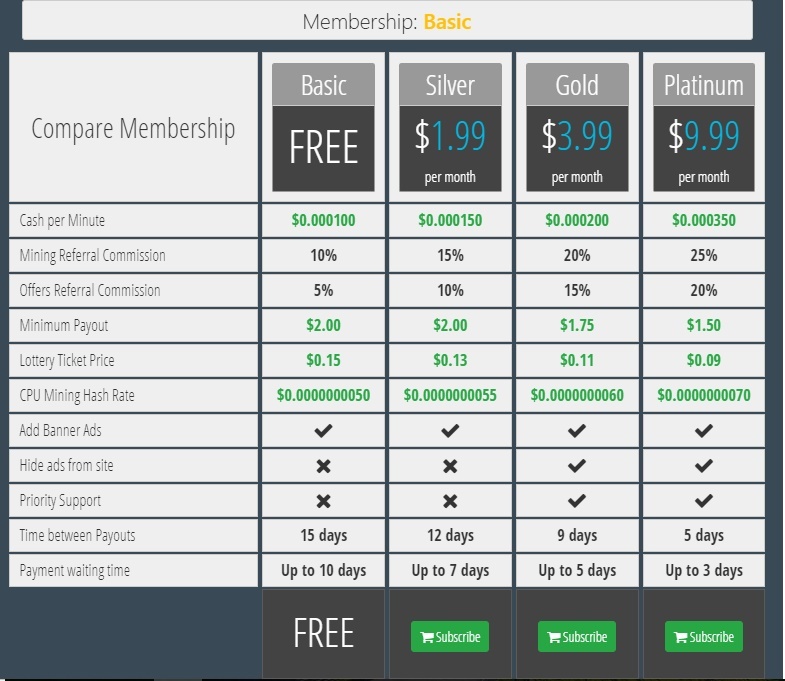 They offer premium memberships for people that need to advertise more, or want to earn more every minute. If your run the autominer 24/7 these can be interesting options to earn some more Bitcoin on the site. You can withdraw when you hit $10 on the site. Withdrawal can be done by Payeer. More options are coming soon. Many users report that withdrawals are not coming through. The owner sold the site to someone else and that user started denying the withdrawals. Users of cashmining.xyz can't reach the owner since he does not respond to emails, nor messages on platforms on which they promote cashmining. If you want to talk with other users that got scammed follow the link below and you can see various reviews on the last page with the same problems as you are experiencing. Click here to see the reviews. What are your experiences with Cashmining.xyz? Is it a scam or legit? Don't forget to check our guide about making your own autoclaim faucet.